Field Notes of a Dream Researcher speaks of people's memories, both individual and collective. This oneirographic kaleidoscope of memories can be seen through the optic (1) lens of the "mind's eye", featuring the epic story of dream vision. Walter Benjamin "Theses on the Philosophy of History"employs Paul Klee's "Angel of History "to envision the epic epistemological (2,3) process of collective visual memory, trauma (4) and the cultural archival history of (dream) vision. Field Notes provides an oneirographic Angel of History mind's eye point of view (5), exploring the epic composition of the gothic tapestry of the poetic ruins of time (6,7). In "The Story Teller" Benjamin identifies the vital literary genealogical (8) frame of personal and collective memory found in world literature. For Benjamin, "memory is the epic faculty par excellence". Benjamin adds, "the record kept by memory ... its oldest form, the epic, by virtue of being a common denominator includes story and novel". The epic art of generational story telling becomes the guardian of the compositional philosophy of the oral tradition, the culture industries and literacy. Epic memory is seen as the quintessential poetic genealogical nature of the story telling of civilizations (9,10) and their discontents (11). Can we begin to see how the epic tradition of the dream vision frame story (12) of personal and collective memory (13) becomes inherited, handed down and received, historically flowing from generation to generation? Reinforcing this philosophy of history argument and the validity of such an interpretation (14), Harold Bloom "The Western Canon" opines that the literary canon of reading is "identical with the literary Art of Memory." Bloom elaborates; ‘'Memory is always an art, even when it works involuntarily." The cultural art of memory (15) can be found operating in the Western canon and the world literary traditions (16). There are many scientific theories about how memory operates, however few researchers have used dreams to provide the psychophysical basis for creating an ethological neuro-philosophical (17) theory and mythopoetic language of the "Ways of Seeing" the cultural art of memory. The earliest epic folk tales recorded such as the "Tale of the Shipwrecked Sailor" and the "Epic of Gilgamesh" which contain dreams, provide the dialogical foundation stones for a virtual memory palace re-construction, revealing an archeology of the optical language of visual culture (18,19) and the social unconscious archive. In this oneirographic picture writing picture puzzle of the epic of humanity's verbal picture book of reality (20), we can find the semiotic storehouse (21) of the mythic composition of human memory, and the artistic works of the literary history of the folk tradition. Seen in this light, the folk philosophy of history becomes the Western history of the art of memory, in which, we all dream by the literary archetypal "mimetic"canon (22) of the "Great Books". In this epic literary sense of folk metahistory, we find what Marcel Proust in his book "In Search of Lost Time" called "involuntary memory". The oneirographic history of involuntary memory is the cultural genealogical stuff that the literary folk world inheritance of dream vision is made of (23,24,25,26). Said differently, once the epistemic fragments of the recorded history of dream vision is re-collected, this anamnestic medical case history will provide a unified archeological vision of the mimetic pathways of humanities vast monumental memory palace. In this vast prosopography network of the social order of communication (27,28,29), history can be understood as the dramaturgical art of collective memory (30). The dream seen from this view point, is an archival historian of personal and collective memory, composing historiographies by employing the epic art of memory. Walter Benjamin in "The Task of the Translator" provides a literary theory of language, he believes the great ethnocentric "suprahistorical" motif of integrating the semiotic fragments of the poetic composition of many tongues (31,32) into one true language is founded upon the philosophical search for utopian linguistic harmony (33). As discussed in other Field Notes, this one true ethological language we all speak is dream vision, which can be pragmatically used from a medical humanities perspective, for the re-unification of all the poetic tongues of the human imagination (read Field Note: The Forgotten Language), poetic tongues created by the evolutionary revolution of the "Broca" divide of brain function. By epically bridging the Broca divide, can we then begin to see the "total dream" of the linguistic antiquitarian memorial of our collective memory palace of dream work and dream vision? The ethnolinguistic branch of the dream world story telling devices of dream vision known as the English language has received a great deal of popular and scholarly attention and research (34). In "Albion: The Origin of the English Imagination", Peter Ackroyd opines that English poetry and literature begins with the Old English dream vision hymn of Caedmon. We can research and trace the growth, development and poetic process of creating guiding literary fictions, diction and the rhetoric of composition of English dream visions via depth psychological English studies of collective memory. Shakespeare's "First Folio" represents perhaps the greatest English dramaturgical memory palace (35,36) of the epic European canon of the literary imagination ever conceived. In it, we discover a cultural memory theatre (37) of history, comedy, tragedy, romance and dream vision (38). This Field Note however, is not about Shakespeare's memory palace and reputation, instead it illuminates the late Medieval English understanding of epic dream vision provided by his influential literary progenitor, Geoffrey Chaucer (39,40). Peter Ackroyd in "Chaucer" praised him as the greatest English poet of the Middle Ages. 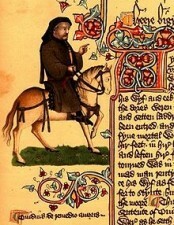 Chaucer can be seen as the "father" of English poetry and the first great innovator of the linguistic mint, coin and currency of the English language vernacular(41). What is seen by most as Chaucer's "magnum opus", "Canterbury Tales "(42) is an everyday life frame story about the Medieval moral compass of English "sundry folk". "The House of Fame " in fact, provides a larger mythological scope for understanding the historical framing effectsof the mind's eye, ear and body (optical, aural and anatomical unconscious) on the European canonical "Gutenberg Galaxy". "The House of Fame" is a historical "bildungsroman of the prelude (43) of Chaucer's European poetic consciousness. Some Chaucerians believe that Canterbury Tales is an extension of Chaucer's canon of the bibliophilic "kunstlerroman" of reading, writing and poetic reception of dream vision and collective memory. Chaucer's dream vision "Parlement of Fowls "is brought to life when Chaucer falls asleep reading Cicero's "The Dream of Scipio". In a similar fashion, Chaucer's "The Book of the Duchess "the reader finds the sleepless poet lost in the thoughts induced by his reading a collection of old tales featuring the ancient married couple of Alcyone and Ceyx. The poet then dreams that he awakens in a chambre with stained glass windows of the poetic representations of the tales of the siege of Troy and the walls painted with the dream vision story of the "Romance of the Rose". In "Legends of Good Women", we find Chaucer one spring day, after a walk in the fields, he falls asleep and has a vision in which the god of love Cupid and the beautiful Alceste, dressed in the colors of the daisy, appear before him complaining about the misogynous rhetorical power of writers attitudes which has maligned the idea of "good women" throughout the epic history of literature. Chaucer is instructed to correct these poetic gender inequities in the historical frame story of the collective portrait and memory of women (44,45). Chaucer offers the reader the hermeneutic keys to Medieval dreamland. Chaucer the poet-soldier-clerk-diplomat and bookworm will be your literary dream vision pilgrim guide (46,47,48). Chaucer takes the reader on an epic philological journey through the labyrinthine collective unconscious gallery of European fame, memory, and imagination (49). Chaucer the prototypical English "master of revels"is armed with the Ariadne's literary "golden thread" (50) of the poetic memory known as the "Great Conversation" and "folk history". Chaucer sheds poetic light on the chain of love(51), hope, truth and the "idea of the good" in Western literature. Chaucer will take you the reader on the poetic path of the odyssey (52,53) of collective memory, disclosure, and understanding of the great artistic chain of being. Chaucer's "The House of Fame" is a Christianized Medieval triumph of the gesamtkunstwerk of the epic meta-memory of dream vision, what William Blake would centuries later call the "great code of art" (54,55,56). Today, Chaucer's name and poetic reputation stands as an English monument, and heralds the Chaucerian tradition of the historical poetic stream of consciousness, imagination and memory. Edmund Spencer "The Faerie Queen" described Chaucer as the "well of English undefiled". Peter Ackroyd sees the critical understanding of Chaucer's work in the "metaphor of language as a spring, or stream." The Chaucerian tradition helps to trace the growth of the English language and the gesamtkunstwerk of the well spring and Western dream work flow of dream vision. Chaucer's dream vision poem "House of Fame" is over 2000 lines long, of which I will quote only a few. Anyone wishing to read the complete modern English version can do so by following the link "The House of Fame". Let us then join Chaucer, on his humble European odyssey of mythological memory seen through the literary symbolic https://en.wikipedia.org/wiki/Symbol anatomy (57,58,59) of his mind's eye. Click on link for Part 2 of House of Fame.